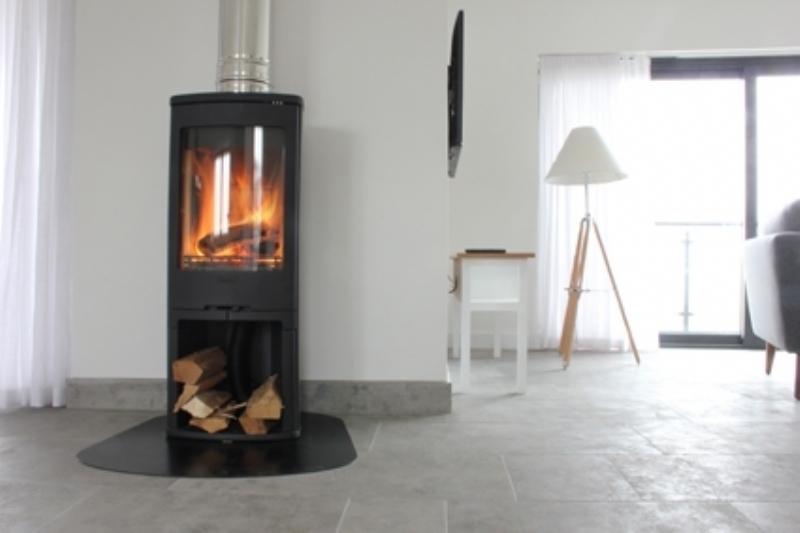 Contura 750 at the Point wood burning stove installation from Kernow Fires. 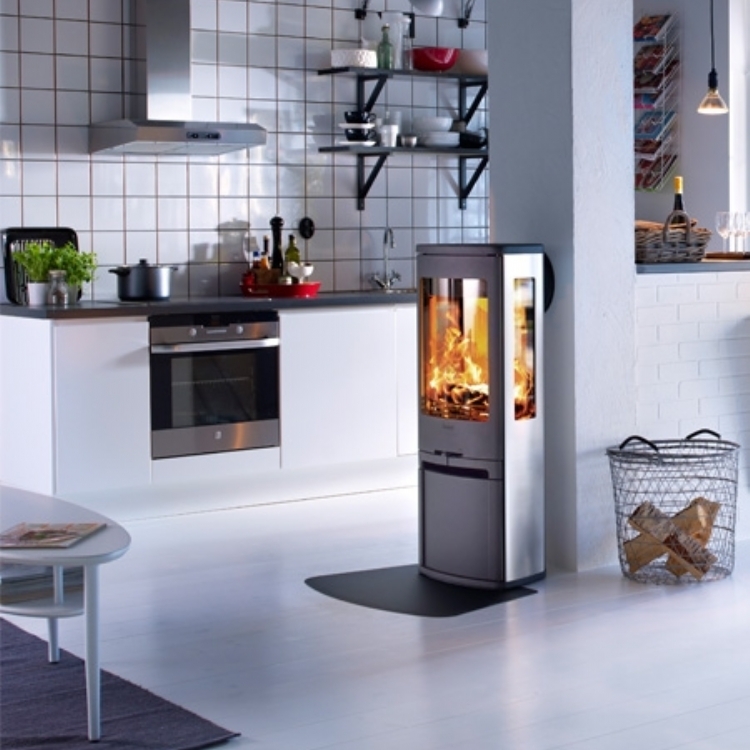 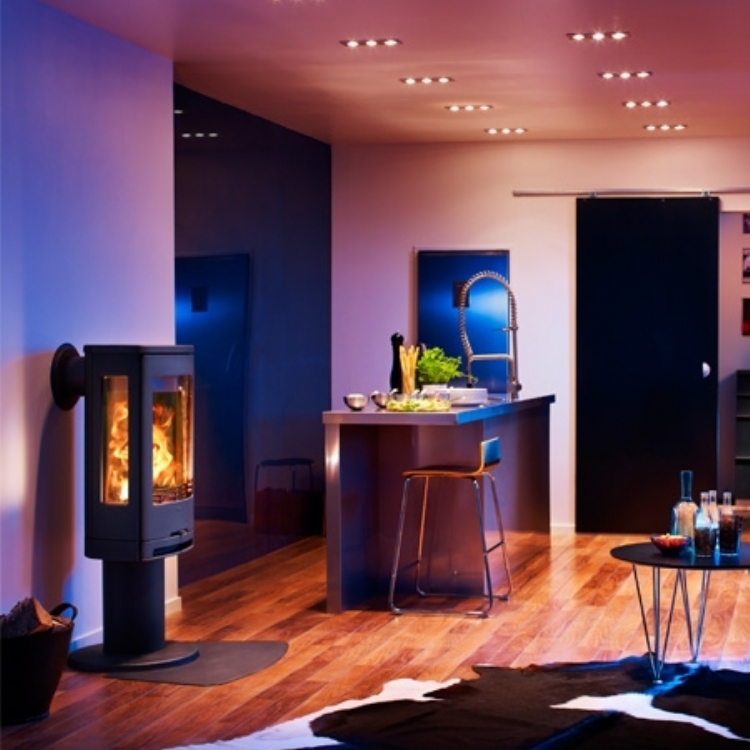 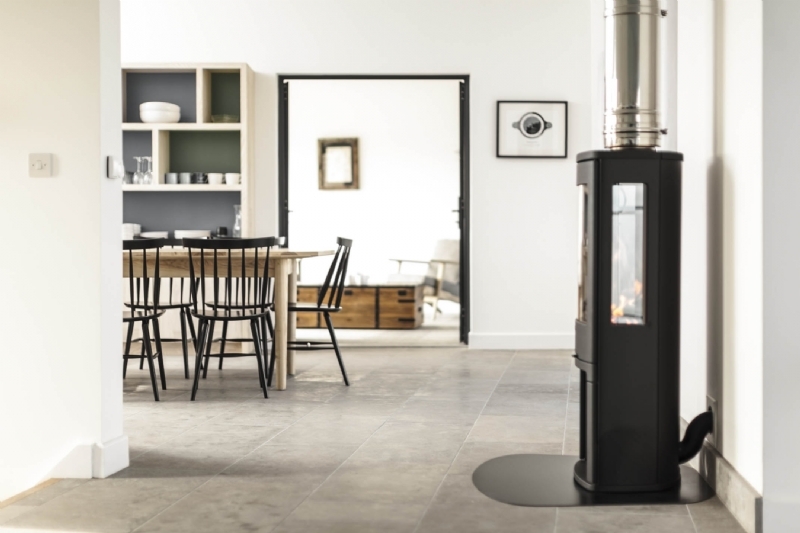 The Contura 750 is an elegant tall and very slim fireplace which suits the style of building, the twin wall flue was left stainless steel at the request of Jeremy and Eva and reflects the light within the room. 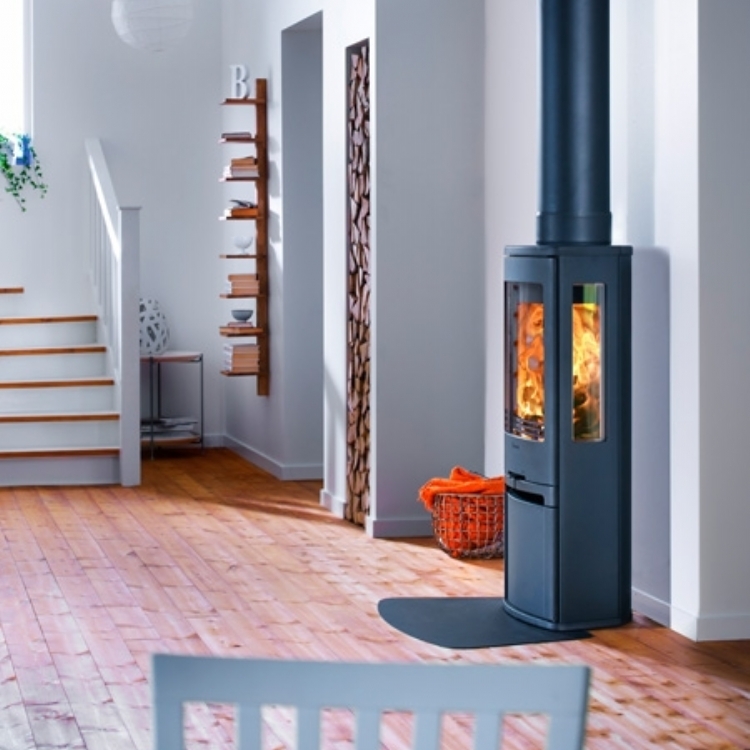 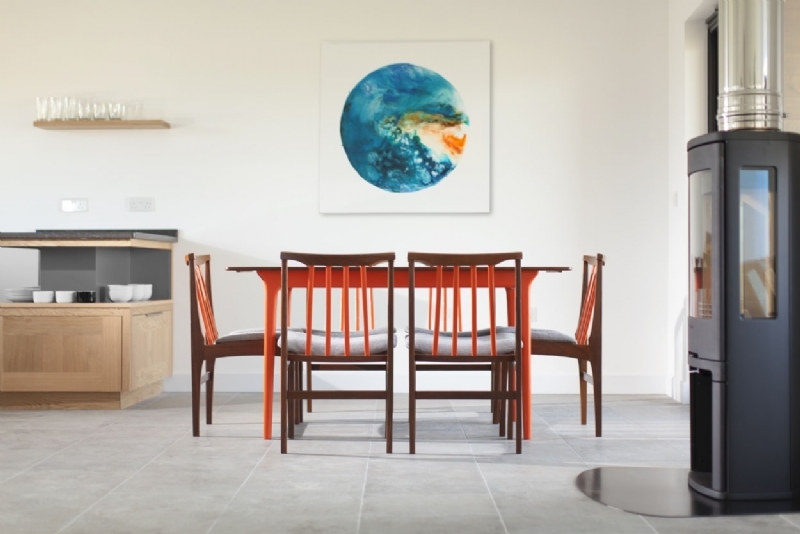 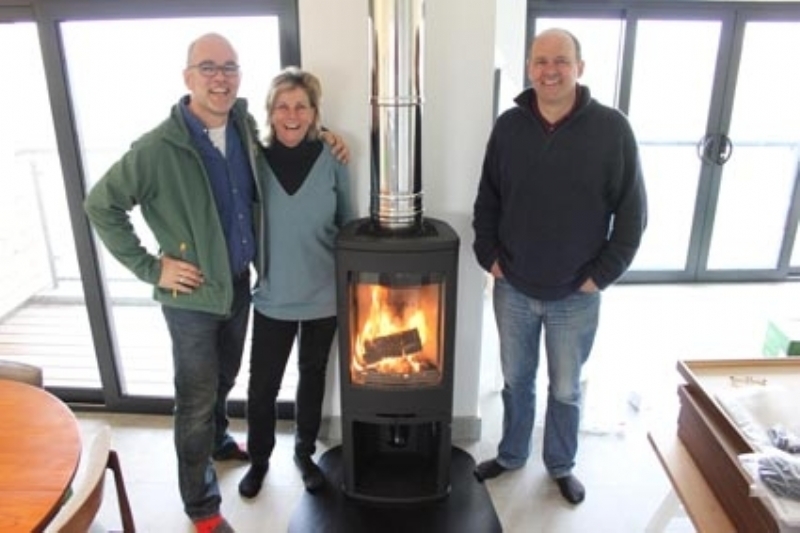 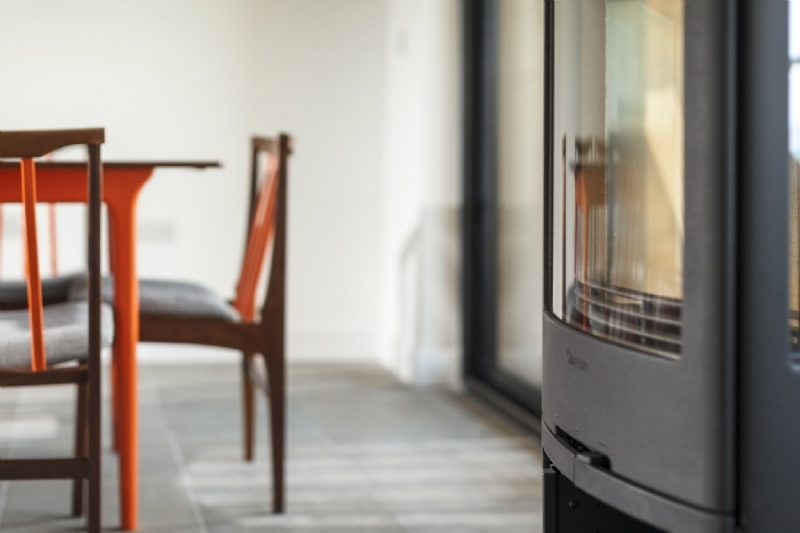 Jeremy and Eva Davies, owners of The Point at Polzeath tell us why they chose Kernow Fires to install their woodburners and why they choose the stoves they did.